Click schedule below for larger printable image. 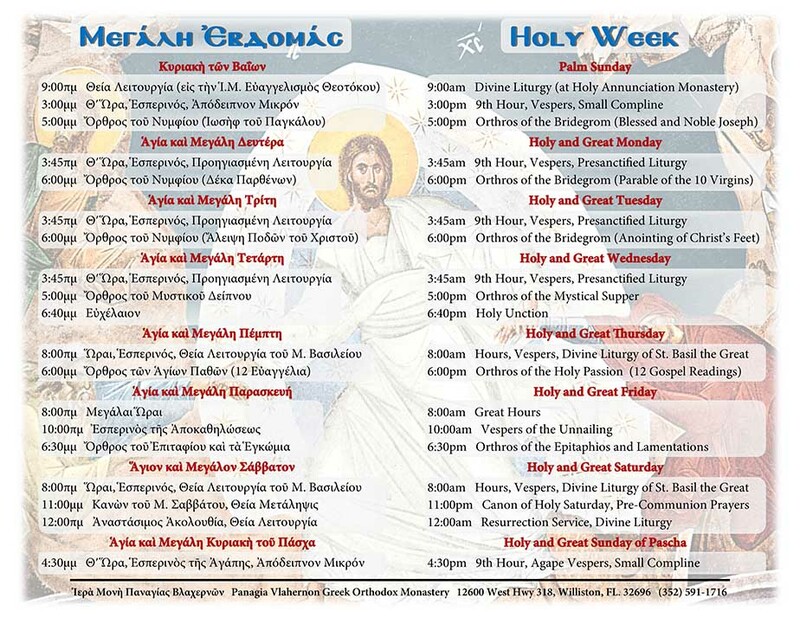 Also view the Holy Annunciation Monastery service schedule. * Schedule is subject to change. Please call ahead for weekend services and Feasts. Please refer to the monastery guidelines.